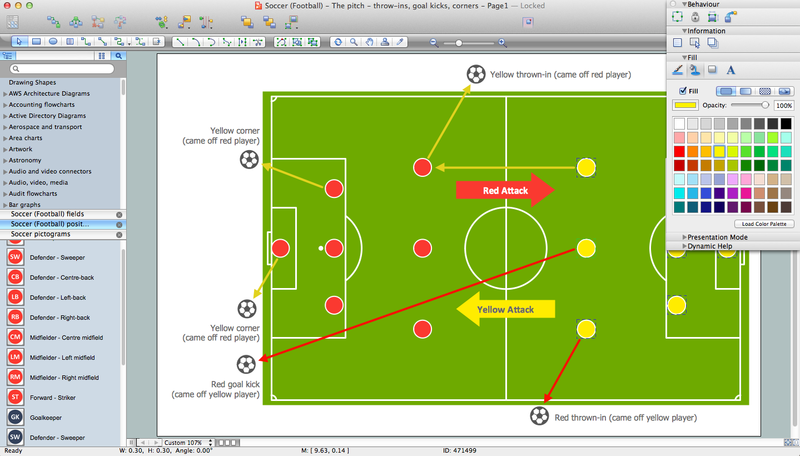 The diagram example "Association football (soccer) positions" was created using the ConceptDraw PRO diagramming and vector drawing software extended with the Football solution from the Sport area of ConceptDraw Solution Park. 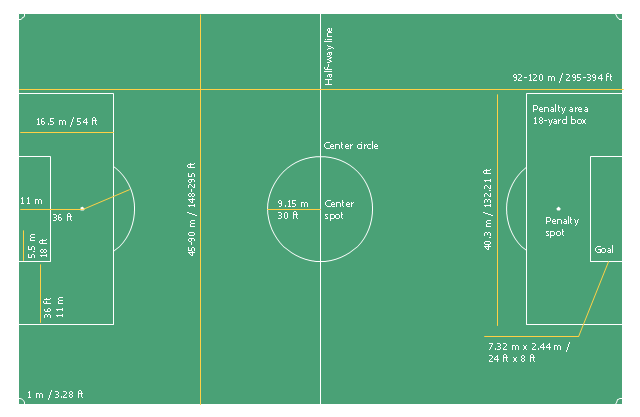 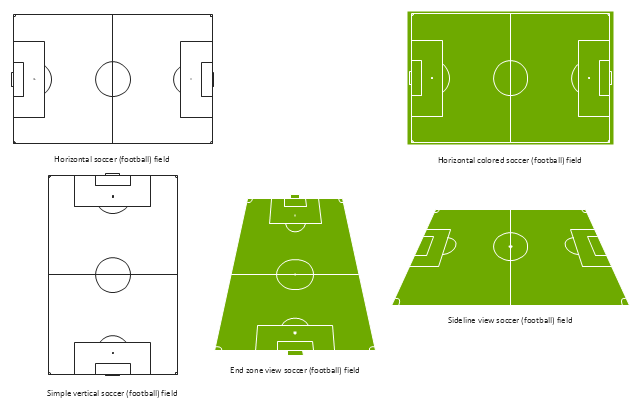 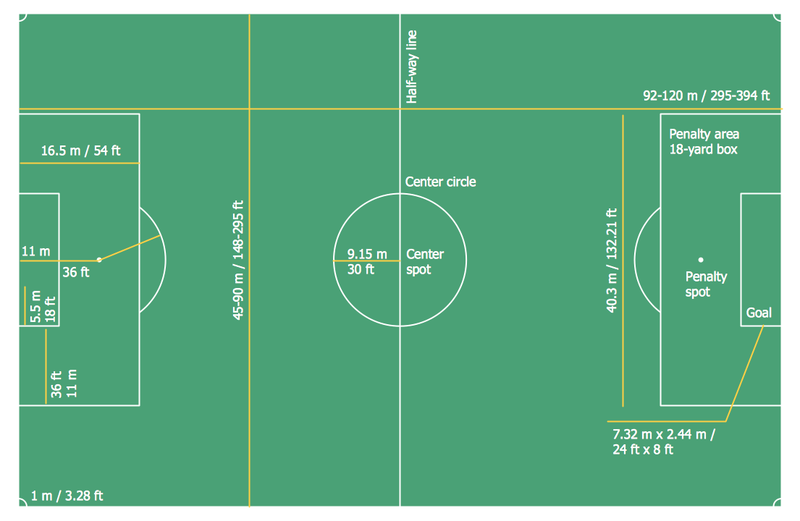 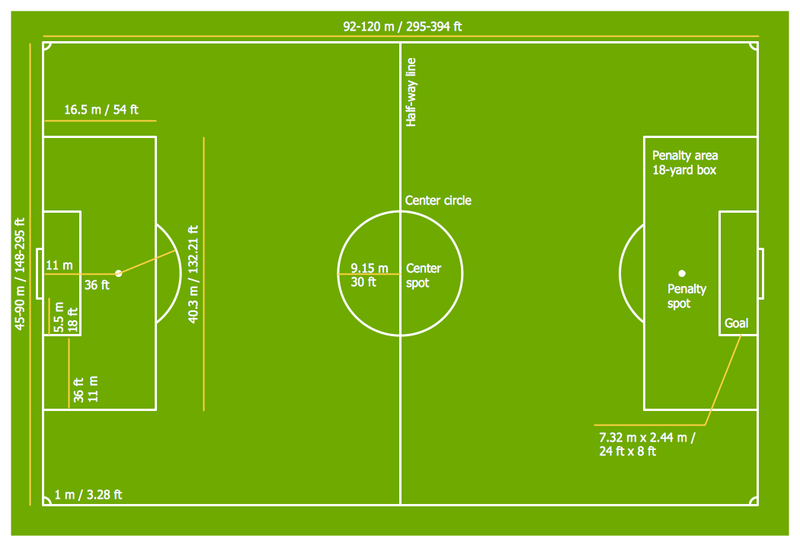 The template "Horizontal association football pitch" for the ConceptDraw PRO diagramming and vector drawing software is included in the Soccer solution from the Sport area of ConceptDraw Solution Park. 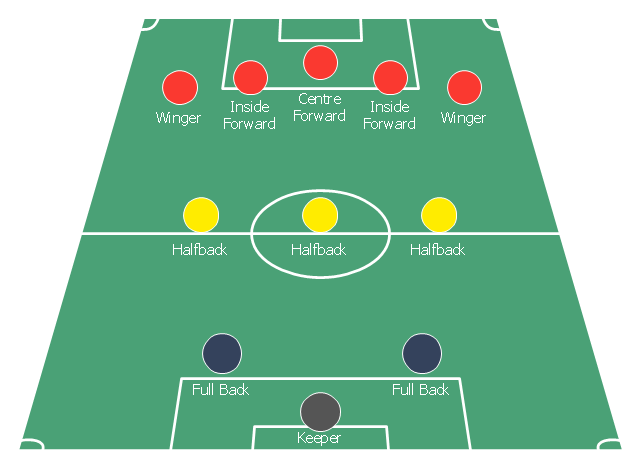 The diagram example "Association football (soccer) formation 3-2-5 (WM)" was created using the ConceptDraw PRO diagramming and vector drawing software extended with the Football solution from the Sport area of ConceptDraw Solution Park. 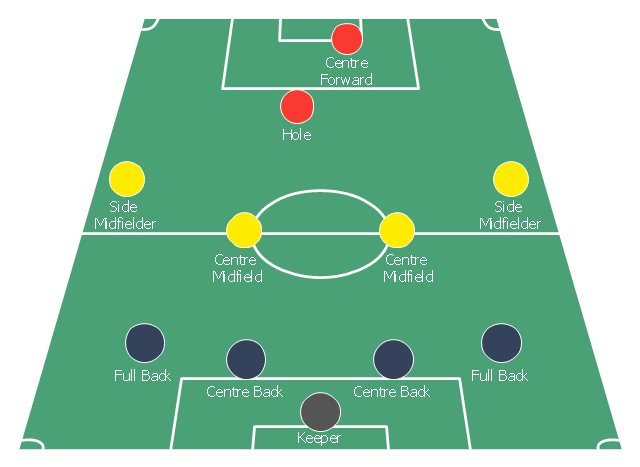 The diagram example "Association football (soccer) formation 4-4-2" was created using the ConceptDraw PRO diagramming and vector drawing software extended with the Football solution from the Sport area of ConceptDraw Solution Park. The vector stencils library "Soccer (Football) positions" contains 18 symbols for drawing association football (soccer) positions diagram. 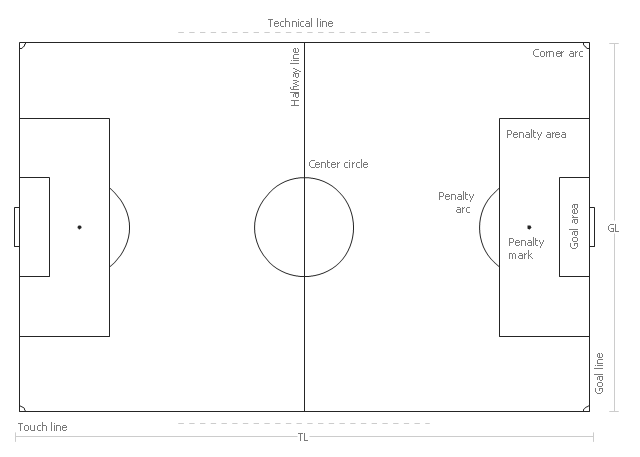 The symbols example "Design elements - Soccer (Football) positions" was created using the ConceptDraw PRO diagramming and vector drawing software extended with the Soccer solution from the Sport area of ConceptDraw Solution Park. 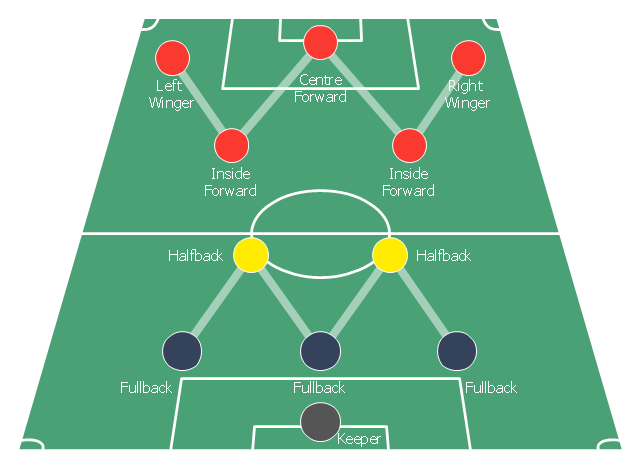 A variation of 4–4–2 with one of the strikers playing "in the hole", or as a "second striker", slightly behind their partner. 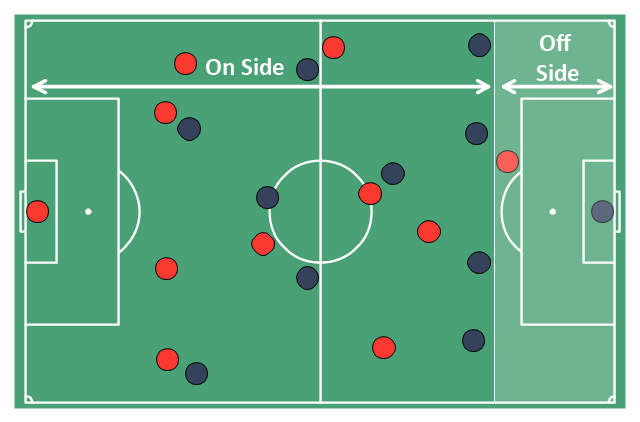 The second striker is generally a more creative player, the playmaker, who can drop into midfield to pick up the ball before running with it or passing to teammates. 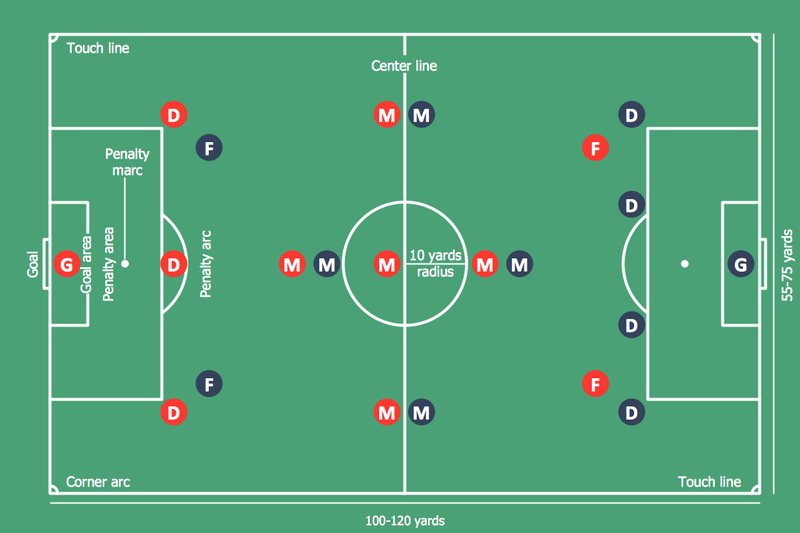 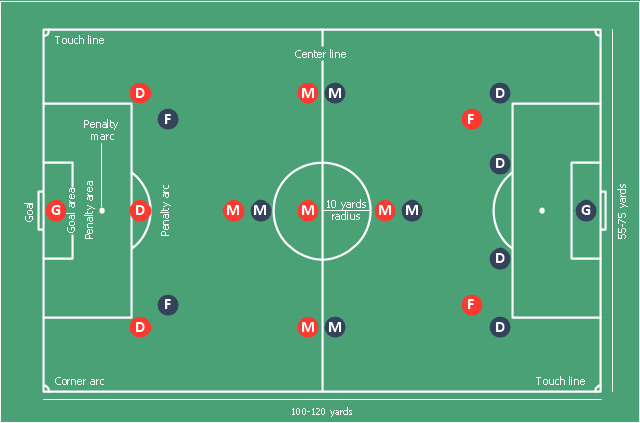 The diagram example "Association football (soccer) formation 4-4-1-1" was created using the ConceptDraw PRO diagramming and vector drawing software extended with the Football solution from the Sport area of ConceptDraw Solution Park. 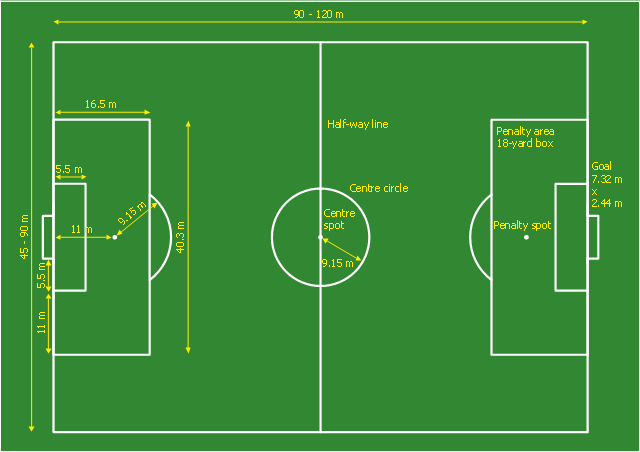 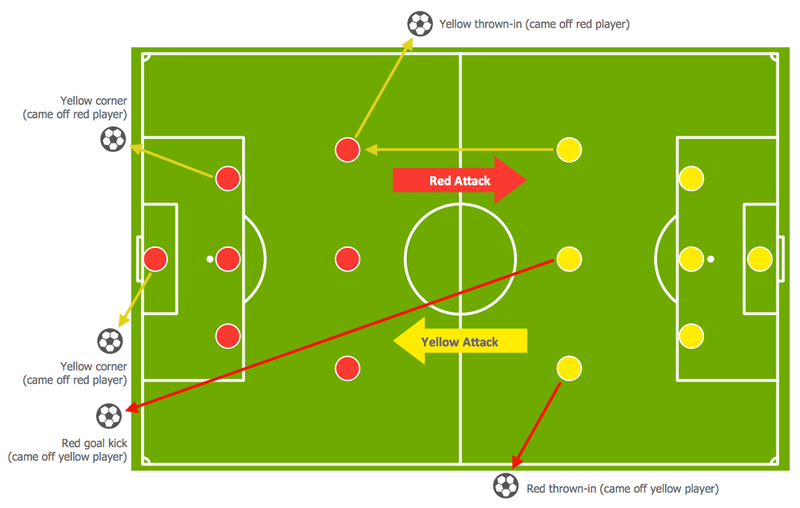 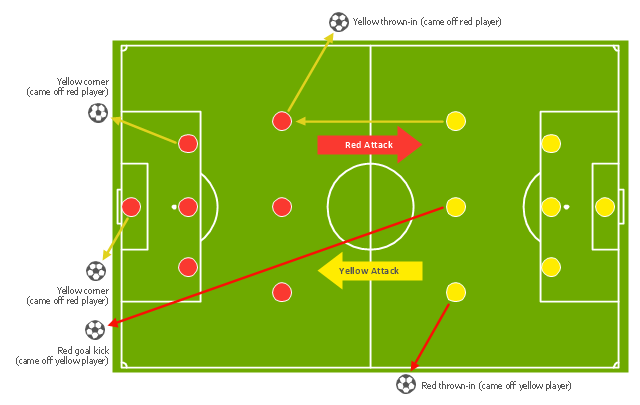 The diagram example "Association football (soccer) offside" was created using the ConceptDraw PRO diagramming and vector drawing software extended with the Football solution from the Sport area of ConceptDraw Solution Park. 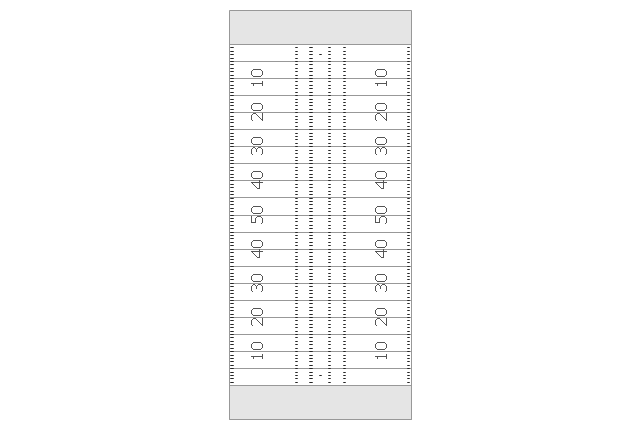 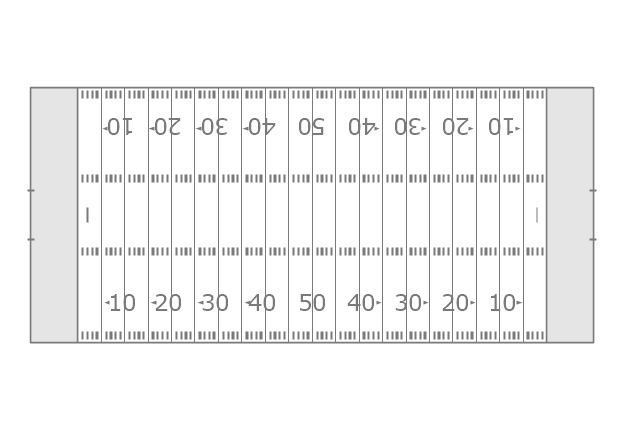 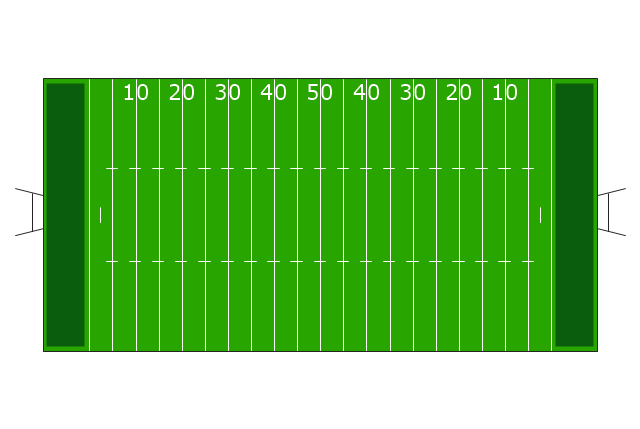 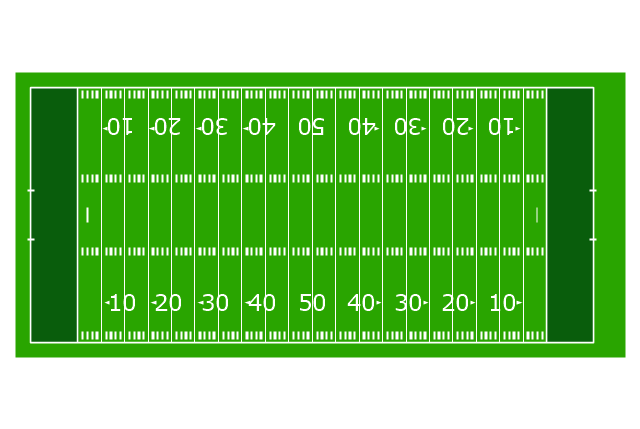 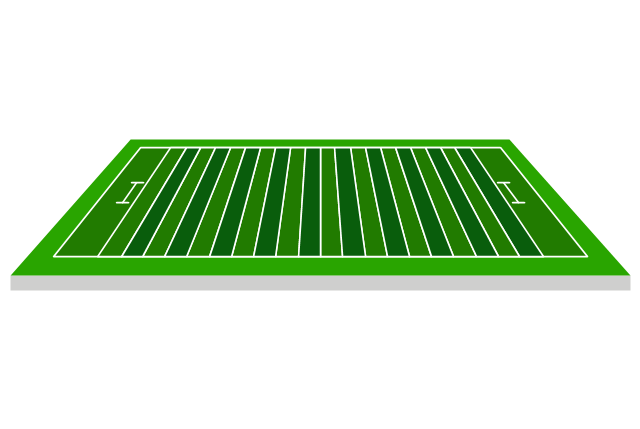 The vector stencils library "Football fields" contains 5 shapes of american football fields (gridiron pitches).